I’m sorry. I kept getting distracted by the photos. I’d read a bit, then stare again at the photos. Those dogs are adorable! 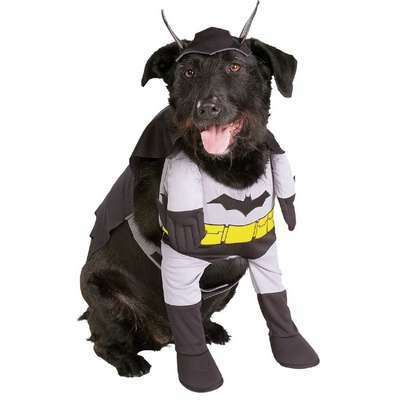 Who wouldn’t want to dress up their pooch for Halloween!?! 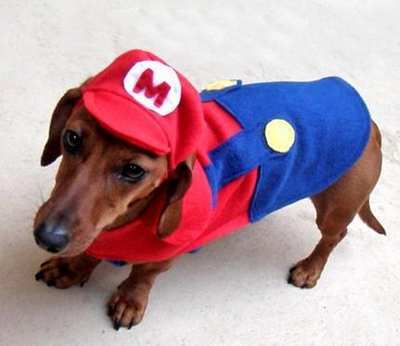 We can’t dress up our dogs though… they eat the costumes. Funny post Jessica! I always enjoy your guests Daniel!! Those dogs are mesmerizing, eh? Stop making costumes out of marshmallows, maybe then they won’t eat them! Glad you’ve enjoyed Jessica’s post! 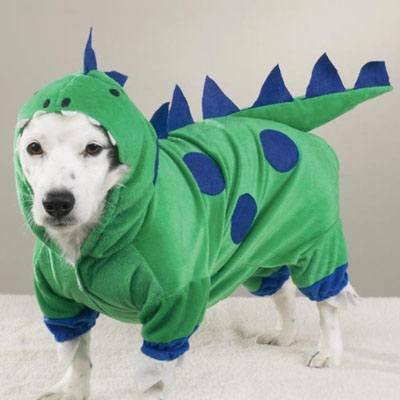 Dogzilla doesn’t look very happy. He clearly longed for a Star Wars costume. You know what dogs want. Mutt-whisperer! I got a kick out of how most of the dogs look embarrassed. What if their doggy friends see them like this? Dogula is adorable though! Nobody deserves that kind of torture! omg, this is hilarious! my son was over my shoulder while I was reading this. He likes the Star Wars ones and thinks our dog should be Darth. I have to say we do dress our dog up on Halloween. *hides face* BUT NEVER ANY OTHER TIME I SWEAR! I’m not a dog dresser-upper. He’s usually a bumble bee every year. I’m not too creative. I bought it once and he can keep wearing it cuz it’s so damn cute on him. Well you have Jessica, the guest poster, to thank for today’s entertainment. But glad you enjoyed the post! 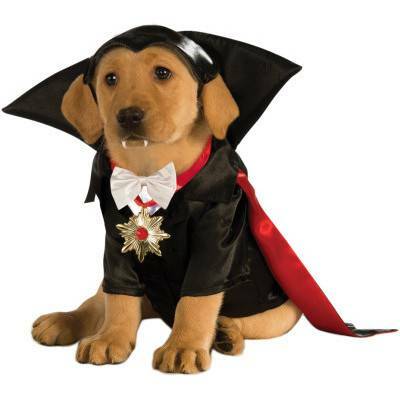 As for you dressing up your dog for Halloween…I will not judge you. I will leave that up to higher powers! They frown upon these things, I’m sure! Or they are just huge fans. 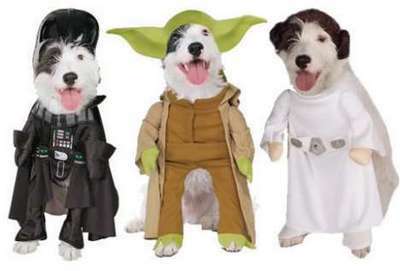 I hear dogs are really into Star Wars!